Truck Got Brakes? No? You're in the right place. TCE offers affordable front big brake kits for Second (2G) Generation Lightning trucks and F150 Harley trucks. Get the confidence back under your foot with one of our two kit choices! 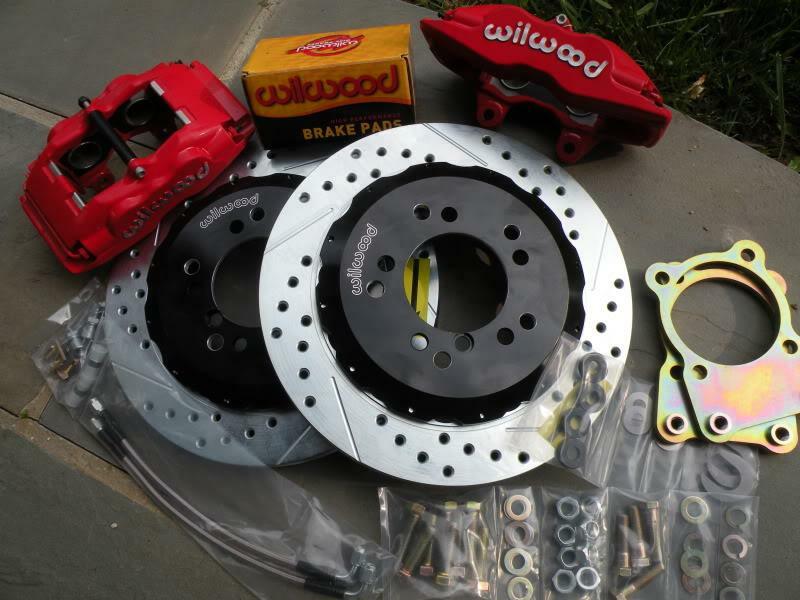 Our kits are proven on both street and track with a vast selection of brake pads to meet your needs. Application: Building upon our success with the older 13" front kits: Today TCE takes it to a whole new level. Now offering the full 14" Aero6 kit -- which is the most ideal kit we can produce. Massive caliper sizing and 'full size' rotors assure buyers of repeated and sure footed stopping power....time and time again. Fit: Stock and 18" or larger wheels. Stock '99 wheels require use of optional .125" wheel spacer plate. Notes: Our most ideal kit for open track use where pad options, and durability are a top priority. Sold only in M14 Stud configuration. Application: Time marches on..and to that end today we can offer our customers a full blown 15" kit using the same proven Aero6 calipers from the above 14" front kit! These kits provide more mass, greater cooling and a yet bolder look. Notes: Former 14" customers can upgrade to this with the purchase of rotors and new 15" brackets. Sold only in M14 Stud configuration. Application: Our largest 2G Truck kit! 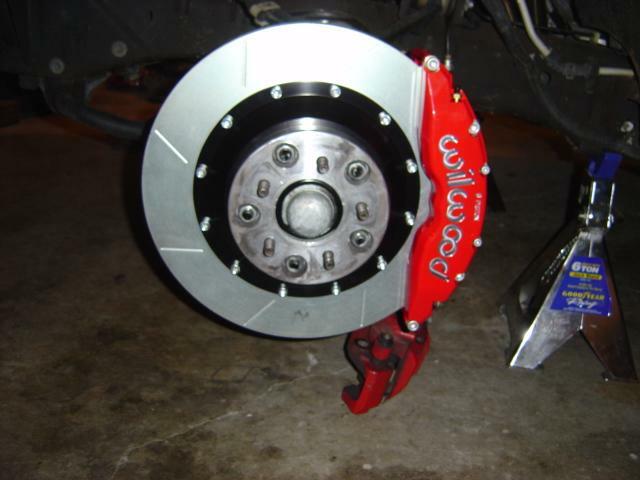 Massive 16" rotors and calipers over 13" tall fill even the largest wheels with quality, performance and value. Take it to the limit with this kit. Fit: Requires 20" or larger wheels, fits stock HD truck wheel. Notes: Great kit for street and show truck use. Not ideal for open track use due to limited pad options and tire choices for wheels. Application: For those open track day buyers the P1 Rear kit is ideal. This kit offers an improvement to overheating problems found on stock rear rotors by way of our vented and gas slotted design. 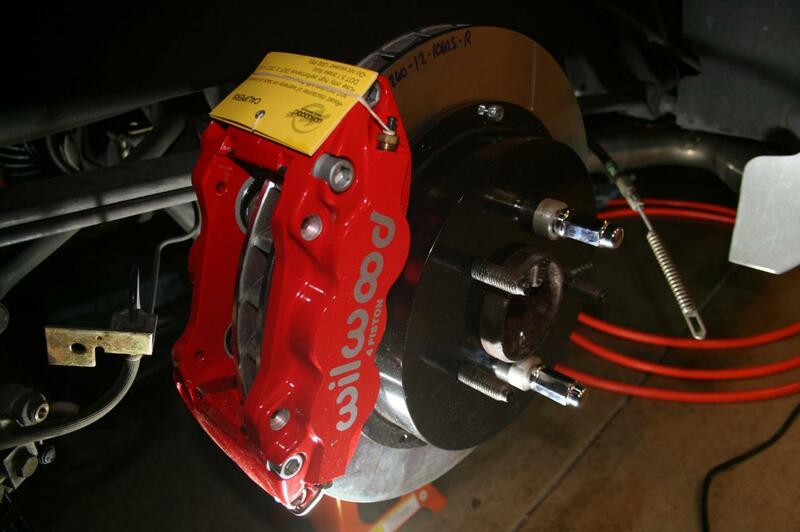 Responsiveness is improved with four piston calipers and pad options make track tuning a breeze. Fit: Fits stock wheels (with optional space kit) and 17" or larger wheels. Notes: This is a NON Parking Brake kit. Requires removal of axles for installation and adjustment to rear C-clips to contain axle float. 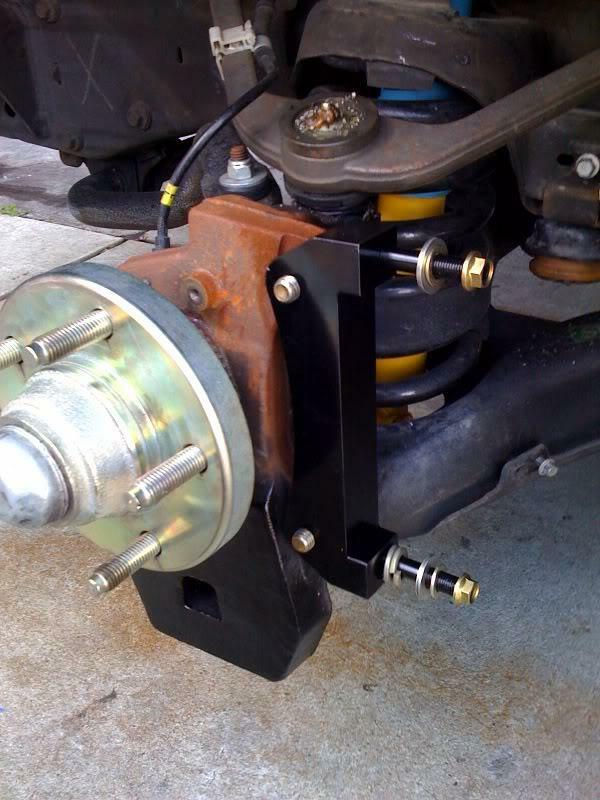 Application: All 2G Lightning and 2WD F150 99-03 with drum in disc parking brakes. 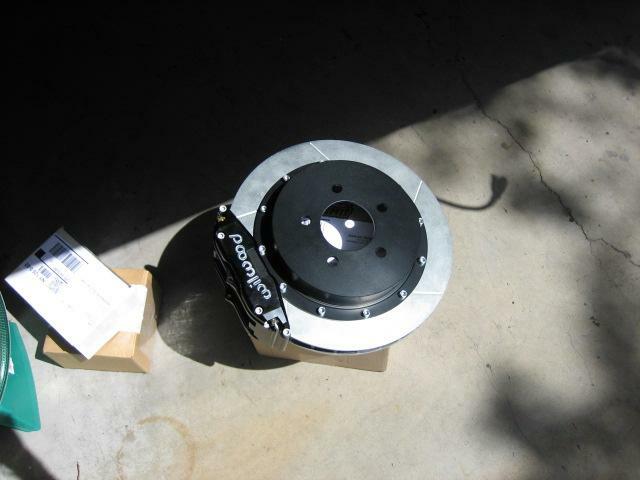 Replaces stock one piece 13" rotor with 15.25" using iron parking brake hat designed for direct fit to factory shoes. Modified iron mounting plate combined with TCE billet aluminum radial mount bracket secures caliper to the plate. Notes: Retains factory parking brake. 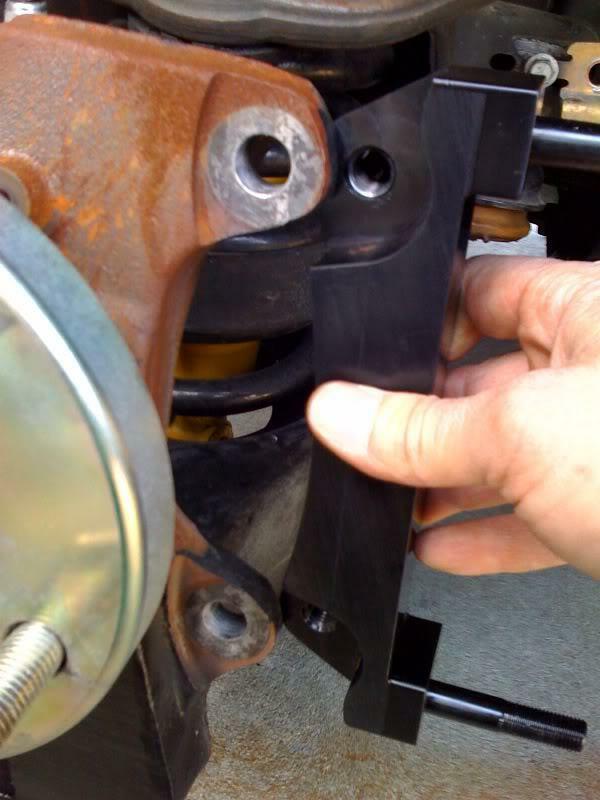 Requires disassembly for mounting brackets as well as and adjustment to rear C-clips to limit axle float. $400 core charge refunded upon receipt of old axle plates and dust shields. Expires 60 days from date of TCE shipping out kit.